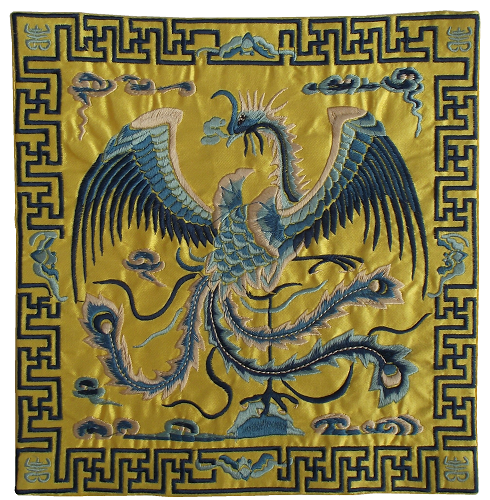 Chinese table mats beautifully decorated with an embroidered mythical Phoenix, and oriental floral patterns. 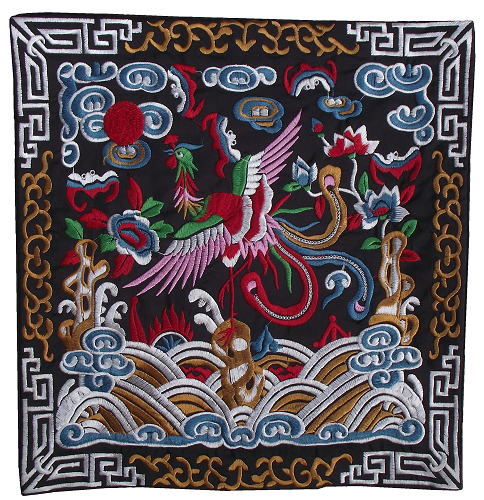 Square in shape, the high quality Chinese table mats are full of colourful detail. 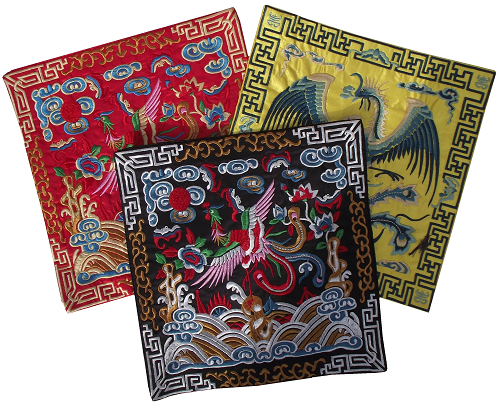 An attractive display item, the table mats have multiple uses, and can be used as place mats on an oriental dining table, or for placing your oriental vase, or Chinese ornament on top of. 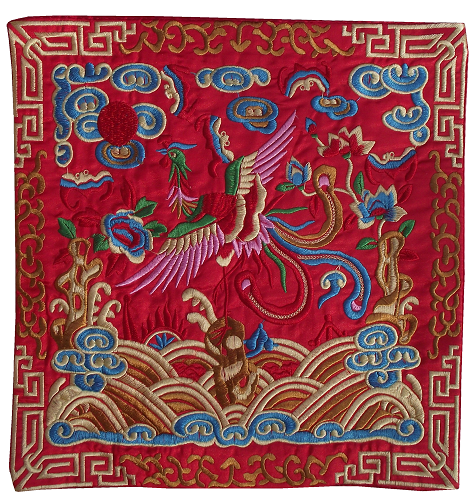 The table mats have a soft damask fabric base to protect the surface it is placed on.